Protects up to 5 Devices! 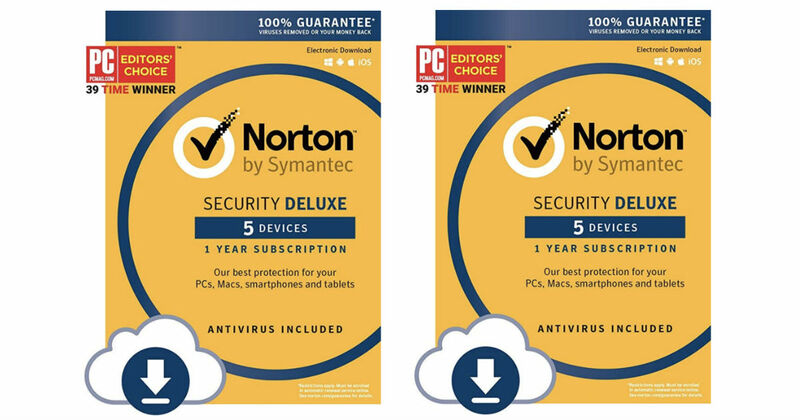 Amazon has this Norton Security Deluxe 12-Month Download Code for five devices for only $24.99 (Regularly $79.99). Norton Security Deluxe secures up to 5 PCs, Macs, iOS & Android devices. Instantly download and receive your activation code to be protected in minutes!